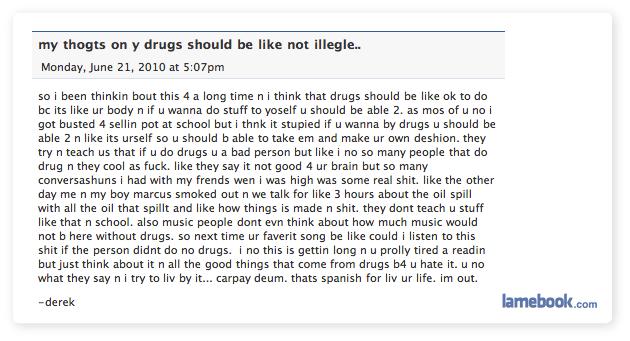 Either Derek is high and is living proof of the dangers of drugs, or he’s arguing against the legalization of drugs. I prefer, just to keep my sanity, that it is the latter. Since you had to correct someones spelling I feel obliged to correct yours. The spelling you want is “seize”.